All men and women born between December 23 and January 20 are astrologically said to come under the tenth sign of the Zodiac – Capricorn. 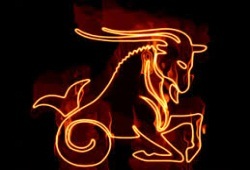 Like any other Zodiac sign, Capricorn is made up of both strength and weakness for all to notice to compromise well. Is the one you love a Capricorn? Or are you come in quest of self-knowledge? Let’s explore the innate traits of the Mountain Goat to form the compatible interaction and advantageous growth! Being ruled by Planet Saturn, the Capricorn is gifted with the strength of responsibility, patience, ambition, and loyalty. That means the Goats are unlikely to let the sense of failure influence their decisions and actions. With the high targets of life, they are ambitious enough to make attempts for the better outcomes of success or achievements. 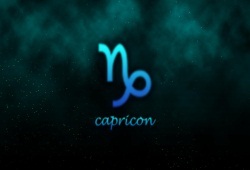 Along with that, the Capricorn boys and girls turn to be patient and trustworthy when it comes to difficult situations. Instead of getting jitters, they remain consistent to overcome the destined obstacles and fight against the evil thoughts to get strengthened. 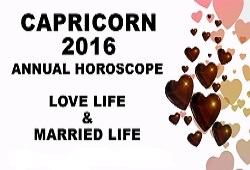 In the rooms of love, nearly all Capricorns are loyal and firm. As long as they have determined that you are their life mates, they will try the best to attract and win your heart. Therefore, needless to worry about the Goat’s level of honesty providing that you give them the inspiration and lightness they lack. In the dark sides, the Capricorn’s weakness includes the awkward and detached natures. Along with that, they tend to be self-centered and stubborn in the zones of arguments. With the detached appearance and behavior, the Goats drive others mad with lots of negative words. No matter how they try to eliminate the sense of negativity, they mostly suffer the pessimistic thoughts on the regular basics. In some people’s eyes, the tenth Zodiac sign is very selfish as they only care for the self interest and ambition. In order to reach the highest notch, they agree to harm others around that cause them to behave unemotionally. It is the lack of sensitivity that drives the Goat to lose scores in the scale of some emotional characters like Pisceans and Cancerians. 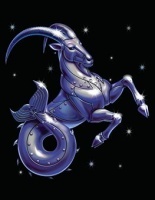 In the list of the 12 Zodiac signs, Capricorn is said to be the most purposeful and decisive sign that is ambitious enough to approach the notch of success. Throughout their lifetime, the Mountain Goats have the tendency to work and work. As the workaholic figures, they can grow as the responsible leaders and excellent organizers. Nevertheless, the detached and self-focused characteristics sometimes cause them to lose impact on the other members. 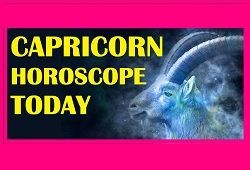 On the whole, the Capricorns are all independent enough to know their own innate strengths as well as weaknesses. In that sense, they continuously attempt to grow with the predetermined ambitions in order to become fulfilled as expected. No matter how long they have to wait, the Mountain Goats readily wait for their big days with advantageous opportunities. Though it may raise some negative thoughts about the outcomes, they finalize the most beneficial choice with thoughtfulness. Step by step, they reach the gate of success and open it with the prepared key. Without any idea about the hasty jump, this sign of Zodiac guarantees their development consistently. As a result, it is not the BIG difficulty for the Scorpio to attain wealth and love along the journey of growing old. Please notice that the Mountain Goats are only compatible with Taurus, Cancer, Virgo, and Capricorn! With the foreknowledge about the natural compatibility, be judicious to form the harmonious relationship with the mates of favorite in the long run! For more details of the subject “Strength And Weakness Of Capricorn Sign“, please send the questions to us via the following boxes with no hesitation.